Honestly, I'm a little bit between major writing projects right now. I've just finished several things (which I'll detail below), but I'm not actively writing anything (though who knows? That might change at any time.). Also, I have written the sequel to Nyssa Glass and the House of Mirrors. It's been through a decent amount of beta readers and critique partners, but still needs a few major edits (and of course, final proof and cover art.). If you're a fan of the first Nyssa story, be ready for more awesome! This time on a zeppelin! 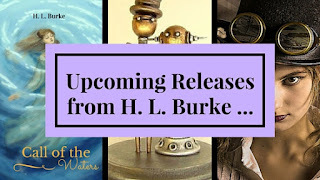 I've recently been working on two short stories which I hope to enter in anthologies. Honestly, while those are written and just need some editing, I'm not sure when they'll be available. If the anthologies fall through, I'll publish them on my own. There's also the Space Kitties 2 anthology which I wrote a short for (you can see the first one here, but I'm not involved in that project) ... My short story for that is called Free Range, Organic Cats. Fun, huh? My other two anthology candidates are a Steampunk Fairy Tale Retelling called The Clockwork Cabinet and a dragon story, Serpent in the Clouds. So I'm basically sitting on four finished projects (the kitty one doesn't count because I sent it to the anthology editors a while ago, and it is out of my hands) ... if you don't count The Invisible Princess, the semi-sequel to An Ordinary Knight, which ... dang it needs so much work that the thought of editing it exhausts me. I always feel ill at ease when I'm between projects. I feel like I should be working on something ... but I seriously just finished major edits on the Nyssa sequel as well as writing the Serpent in the Clouds short ... It's not like I've been slacking ... but oh well. 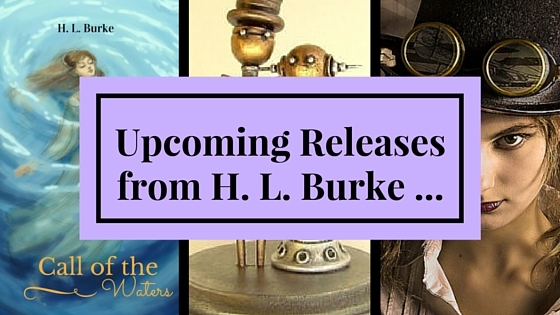 If you want to stay updated on all things H. L. Burke, follow me through my email list. Yeah, there are a couple things I probably SHOULD focus on next... like book 3 in either Elemental Realms or Nyssa ... but I'm just not ready to dive in yet.